The tree house lands in wild west america but there's no one around. Has it landed in a ghost town? when a gang of nasty horse thieves gallop past, it's not long before jack and annie are swept up in another adventure. 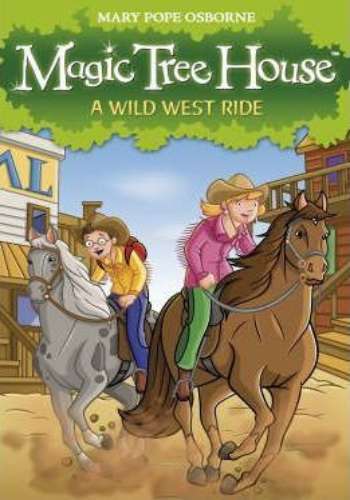 With their new cowboy friend, slim, they set out across the prairie to rescue slim's mare from the horse thieves. But jack and annie still have their next riddle to solve. Will the spooky ghost be any help?